Since leaving her beloved hometown eight years ago, Katie-Ellen has been hard at work making a name for herself as a stand out stand up talent, including a recent appearance at Pemberton Music Fest. 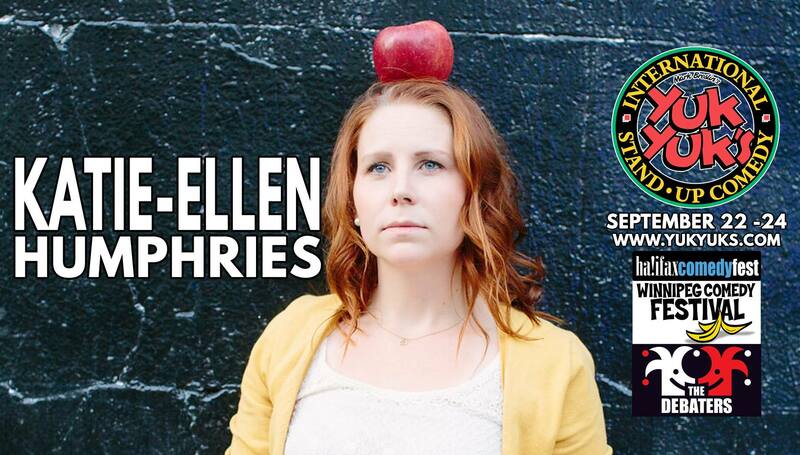 This month she returns to headline 5 shows at the beautiful new Yuk Yuks club in downtown Victoria. Katie-Ellen has worked with some of today’s top comics including Maria Bamford (Arrested Development, Lady Dynamite), Nikki Glaser (Not Safe with Nikki Glaser, The Tonight Show), Greg Behrendt (He’s Just Not That Into You, Walking the Room), Ali Wong (Baby Cobra, Fresh Off the Boat). Jon Dore (The Jon Dore Show, Conan), Tim Meadows (SNL) and more. Not sure if a Comedy Club is gonna be a good time? Fair enough! Maybe you went to comedy before and didn’t enjoy it, or have been to similar events and felt alienated by the content or atmosphere. This show is for anyone who has ever felt out of place or unwelcome at a comedy show. Tickets can be purchased in advance or at the venue 1 hour before show time, based on availability. For more information please visit www.yukyuks.com/victoria or call 778-265-4114.